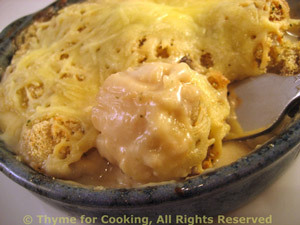 Thyme for Cooking Dinner tonight: Coquille St. Jacques. New Year's Eve. If you're not going out, try this lovely dinner with a bottle of Champagne. It's festive, pretty and easy. 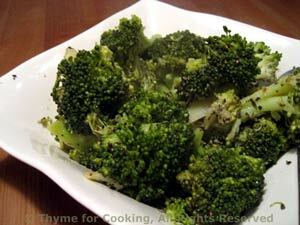 A bit of lemon perks up the flavor of broccoli and the pepper adds just a touch of heat to make things interesting. Cut broccoli into bite size florets and stems. Put in steamer basket in saucepan with an inch of water in bottom. 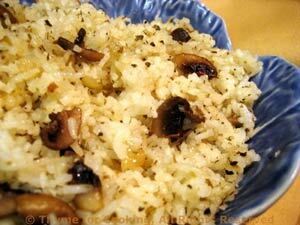 Put on medium heat and steam for 10 - 12 minutes or until done. In same pan heat butter and oil. Add lemon, thyme and pepper and sauté lightly. Relax, toast the new / old years... Coffee? Chocolate?